After a one year hiatus, the Metropolitan Branch 5K is back! Join your friends, neighbors, and running buddies on April 27 for this awesome community event in the heart of Washington DC. http:/www.gometbranch.com to register. It's back! 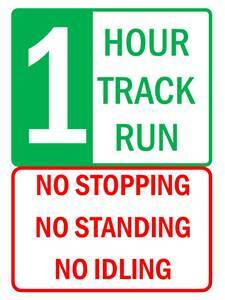 Our next Club race will be the One Hour Track run, held on Tuesday, May 21st at 7pm. We'll be at our traditional venue for this event, the St. Stephen's and St. Agnes High School track. Click here for complete details and online registration.